One of the first things people notice about you is your smile. We provide the highest-quality services for restoring mouths that have been damaged or lost by dental disease and injury. 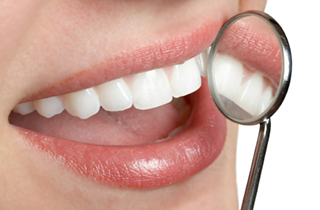 Replacing missing teeth not only improves the appearance of your smile, but it also improves your overall oral health! It is important to replace missing teeth because the delay can lead to more serious problems including tooth decay, an uneven bite and stress on adjacent teeth. We offer several restorative options, including fillings, veneers, crowns, bridges, bonding and dental implants. Whether your teeth are short, worn, chipped, broken or missing, our experienced staff can give you the amazing smile you deserve!